South Coast Alarms can install systems that utilise access control for clubs with access for members. We use quality equipment from manufacturers such as Paxton, Videx, ACT, Nortech, Progeny and Terraneo. If you are interested in access control or want to find out more, please don’t hesitate to contact us today for a no obligation quote. When you lose a key, you have the expense and inconvenience of replacing locks and all the other keys, or you accept that the building is no longer secure. With access control you simply void an individual token or proximity tag from the system, or change the code. There is no need to replace locks or keys. Access control gives you total control over who gains entry to your building. 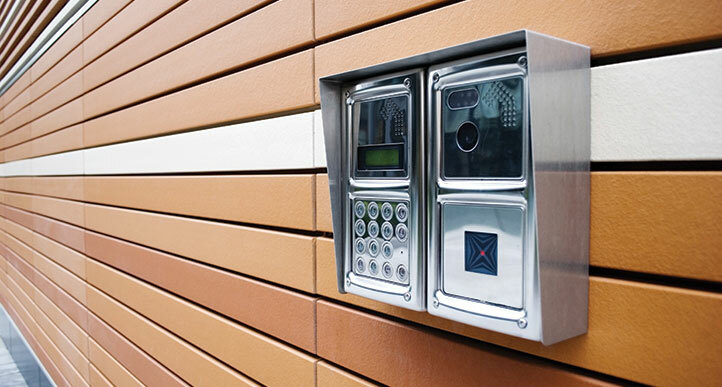 We supply and install various types of access control systems for multiple dwellings and apartment blocks. 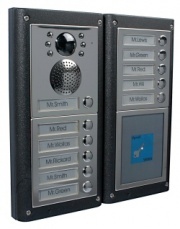 We have systems to suit all budgets, with basic telephone intercoms with electric lock release, video systems with a video monitor built into each handset so that you can see who is at the door before you release it. To these basic systems we can add tradesmen’s time clocks to allow entry for your post or paper deliveries, digital key pads to allow the residents keyless access and proximity tag readers. All of our items are suitable for both internal and external installation and complete with power supplies, locking devices and exit facility.